Be the first to share your favorite memory, photo or story of Melvin. This memorial page is dedicated for family, friends and future generations to celebrate the life of their loved one. Melvin McKinley Pendleton was born January 25, 1936 in Fredericksburg, Virginia to the late Solon Pendleton and Lillian Williams Pendleton. He peacefully passed away on Monday, February 5, 2018 at Ashland Nursing Home. Melvin was educated in the Spotsylvania County Virginia school system. Melvin had a heart for the ministry and faithfully served at Bethlehem Baptist for many years. He enjoyed serving in Sunday school, attending bible study, volunteering at Vacation bible school and also serving as an usher. Melvin worked hard all his life, sometimes working multiple jobs at once. He worked at John J. Wright middle school, Mary Washington College, old Mary Washington Hospital, Pratt College and ended his career at the YMCA. Melvin was affectionately known as Grandpa or “Kitty Boy “. He was the kindest person you could have ever known and if you needed help, he was the first one to offer it. His hospitality was far reaching. Melvin was preceded in death by his wife, Ernestine Carol Pendleton, three brothers, Curtis Pendleton, Rudolph Pendleton, George Pendleton; and one sister Laverne Pendleton. Melvin leaves to mourn his memories, his three sons, Edward M. Taylor (Kim), W.K. Taylor (Billi), Reginald L. Taylor (Stephanie); one daughter, Katrina Y. Armstead (Eric); ten grandchildren; one great grandchild; two brothers, Stephen Pendleton (Jackie), Robert Pendleton (Patrina); five sisters, Patricia Edwards, Angela Boley, Geraldine Pitchford, Marilyn Pierce, Denise Lomax; six sister-n-laws, Barbara Pendleton, Mary Ann Rollins (Richard), Dorothy Marshall, Susie Bell, Lucille Jackson, Vernell Jackson; and a host of nieces, nephews and cousins. To send flowers or a remembrance gift to the family of Melvin Pendleton, please visit our Tribute Store. Remains can be viewed one hour prior to service. 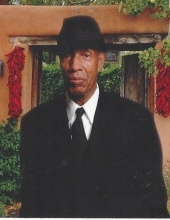 "Email Address" would like to share the life celebration of Melvin Pendleton. Click on the "link" to go to share a favorite memory or leave a condolence message for the family.